Board games have been on the rise in the past two decades, and we’re not talking about Parker Brothers mainstays such as Monopoly, but what gamers have termed “Euro-games” or “German-style board games” that try to break the mold of the classic board game. Such games usually try to minimize random elements such as die rolling, and instead stress a player’s wits. The games also tend to stress their themes and use artwork to evoke emotions. Many have appeared on the iPad, but unfortunately, few games have had PC adaptations. Classic Euro-games like Settlers of Catan and Ticket to Ride have enjoyed PC versions, but gamers are hungering for more. 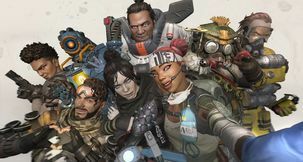 This list are games that have yet to appear on PC in an official basis. So, without further ado, here are board games that need to find their way on the shelves (or Steam or GOG.com). Released back in 2010, and the winner of numberous awards in 2011, 7 Wonders has been the crowning achievement of Repos Games, who are also known for the skin-peelingly difficult co-op board game Ghost Stories. The game is maddeningly addictive, where players are given a Wonder of the ancient world, each with its own theme, and build their civilization through three ages. 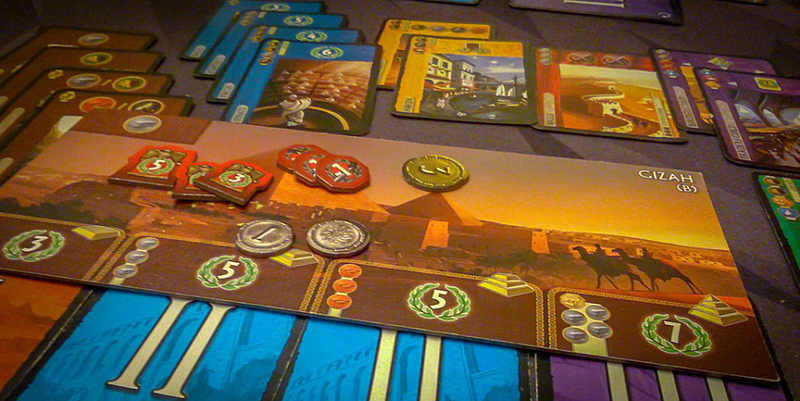 A drafting card game, players have to decide which direction they will be taking their civilization. 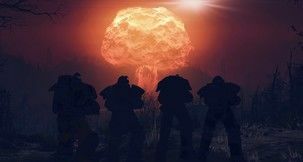 They’ll have the option to accumulate science, wage war, build their Wonder, construct public monuments, and have to keep an eye on their neighbors at the same time, while paying attention to what their civilization is best at. An iPad version has been in development, with an open beta taking place since July 2015, and hopefully, Repos Games will see fit to make a PC version for those gamers without iPads. Some gamers consider Lords of Waterdeep to be the best thing Wizards of the Coast has ever done with the Dungeons & Dragons license. The game is technically a worker placement game, as players are given tokens to place on various spots on the board to claim resources or perform actions, and generally only one player can claim a spot on the board per turn. Those resources are used to complete quests for victory points and more resources. However, the game is really about screwing other players over with Intrigue and adjusting to the quests and buildings that the game generates. The worker placement aspect of the game is exceedingly simple so that players can focus more on how to get the upper hand on other players without having to do mental calculations in their head. A beautifully faithful iPad version of the game is currently available, so hopefully Wizards of the Coast will decide to release a PC version at some point. 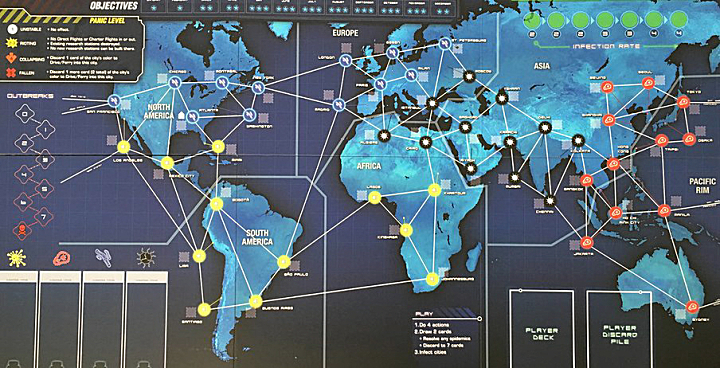 Pandemic has been the most popular and well-known of the pure co-op board games, in which players band together to fight a host of diseases that spread all over a world map. Every player has a special role that breaks one of the game’s rules. The game itself already has appeared on the iPad, but a new edition of Pandemic has been released that practically screams for a PC version: Legacy. The reason is very simple: Pandemic Legacy has a persistent storyline over multiple playthroughs. Players will add stickers to the board and manual. Some cards have to be destroyed and will be unavailable for future playthroughs. 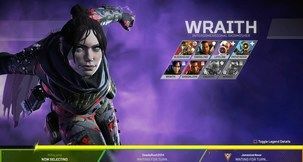 Each successive game has players opening packets that change the rules for that playthrough. Essentially, players buy a $60 board game that they can’t play after they finish the “season”. This is an issue computer games don’t have since they don’t have any physical parts. A persistent computer board game that changes each playthrough is something that would be a natural for PC gamers. Splendor is one of the faster games on the list, typically taking 20-30 minutes to complete. It is also one of the most popular games to hit the shelves in the past 2 years. The premise is simple: players collect jewels and use them to purchase cards that become virtual jewels that aid in buying more expensive cards. The more expensive the card, the higher the point value. Gaining certain color card sets will attract collectors who also add points to the players score. The game is pure strategy, as the only random element are the cards that are on the table at any one time. 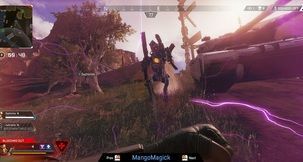 The game is a natural as a Steam game that someone can play solo against AI several times in an hour, giving them practice against online or real-life opponents. Between Two Cities is the newest board game on this list, having completed its Kickstarter in March, and shipped to backers two weeks ago. The game is a competitive co-op game in which players assist their neighbors in building a 4 x4 tile city but try to get the highest score. Basically, players draft tiles, putting one tile each on their neighbor cities, then pass the tiles to their neighbor. There are six tile types, each of which have special scoring requirements. Residences want a variety of tile types, but don’t want to be next to factories. Parks want to be interconnected. Offices want to be next to service industries like bars and motels, and so on. A player’s score is the lower valued of the two cities that border them. The game is fast and addictive, and would be a natural for a PC release. Traitor games are a favorite genre of board games, in which players have to co-operate to defeat a worsening situation, and one (or more) players may be actively trying to sabotage the efforts (in the case of Battlestar Galactica, there is no “maybe”.) Each game has its own theme: Shadows Over Camelot have the Knights of the Round Table trying to beat back Mordred, Battlestar Galactica has humans trying to escape Cylons, while Dead of Winter is basically The Walking Dead in a wintry location. Those are the games that would make great PC adaptations, from a variety of genres. On a side note, yes, Puerto Rico was strongly considered, but a PC version was released in 2005, though it wasn’t well-received by board gamers. A good iPad version does exist, so perhaps that one will see a reboot at some point. 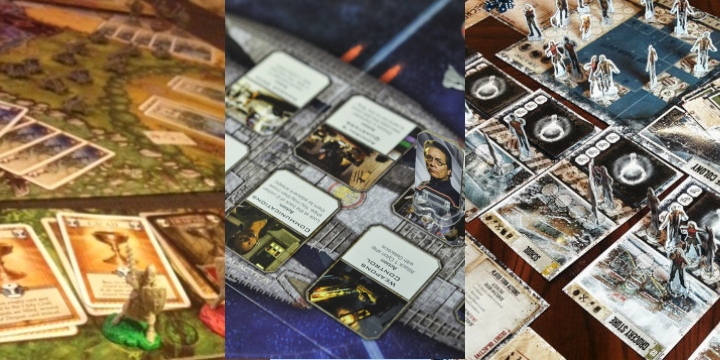 Let us know what board game you’d love to see a PC adaptation of.